Campari’s Whiskey Barons Collection made its debut in the Spring of 2017. From the beginning there was an air of mystery surrounding the first two releases, Old Ripy and Bond & Lillard. 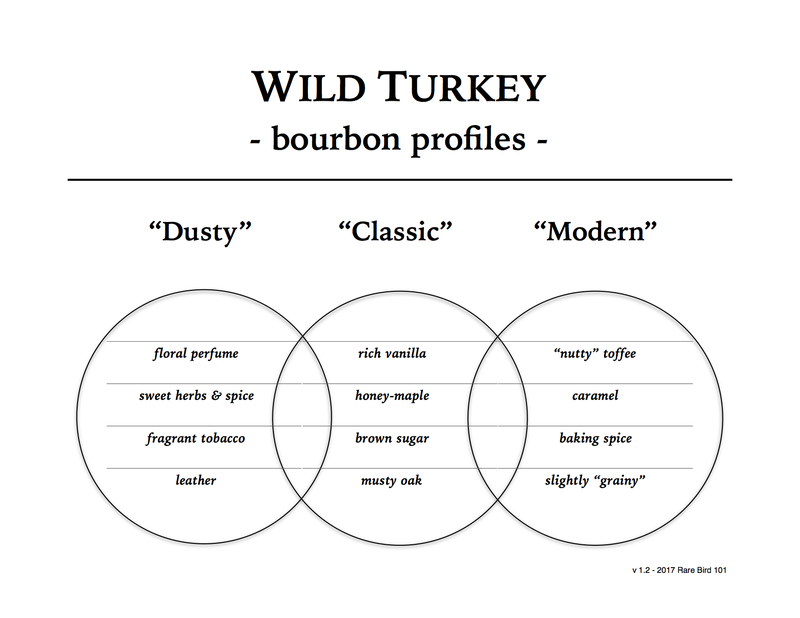 The primary source of confusion was (ironically) the press release, which stated neither Jimmy nor Eddie Russell were involved with the two expressions while simultaneously asserting both whiskeys were distilled at Wild Turkey in Lawrenceburg, Kentucky. I guess it depends on what your definition of “involved” is, but to the seasoned enthusiast the press release created more questions than answers. Regardless of Old Ripy and Bond & Lillard’s origins, the expressions were rather average in the end – neither offensive, nor entirely impressive. While aesthetically beautiful, their stellar designs simply weren’t enough to justify their hefty price tag of $50 per 375ml. As such, their popularity and performance were arguably lackluster – each failing to garner the same level of praise given to several contemporary Wild Turkey expressions of comparable specs. In fact, some enthusiasts questioned if the Whiskey Barons program would even continue. Fast forward one year. In March 2018 the label for W. B. Saffell Bourbon Whiskey hit the TTB COLA registry. Apparently, Campari hadn’t thrown in the towel on the Whiskey Barons Collection. And there was even better news this time around – Eddie Russell would be key in crafting Whiskey Baron expressions moving forward. Based on Eddie’s track record of exemplary whiskeys (with both Russell’s Reserve and Master’s Keep), W. B. Saffell seemed promising. If there were ever a chance for the Whiskey Barons Collection to resonate among enthusiasts, it was now or never. Here we are in 2019 and resting in my hand is a bottle of W. B. Saffell Bourbon Whiskey – Eddie Russell’s unique creation for better or worse. Yet unknown to most, there’s a deeper connection surrounding this particular release. I recently learned that Eddie and family lived in the Saffell house for several years. The late Victorian Era structure is now a funeral home, which in many ways serves as a museum to the once prominent pre-prohibition distiller. But who was W. B. Saffell and what was his significance to Lawrenceburg? William Butler Saffell (1843-1910) came to fame in the late Nineteenth Century. Having worked for distinguished distiller, judge, and politician, W. H. McBrayer, for some 20 years, Saffell decided to start his own distillery in 1889, the year following McBrayer’s death. Despite Saffell’s relatively unknown name today, he was considerably successful up until the day he died in 1910 (his impressive home stands as evidence of such). His famous “Sour Mash Kentucky Whiskey” was popular well past his death, rivaling brands like Cedar Brook, the very bourbon Saffell helped to put on the map for McBrayer. The W. B. Saffell distillery continued on until Prohibition – its doors closed forever. The Saffell Distillery, its buildings and brand, were eventually lost to time. I’ll have to admit – I’m quite pleased Campari is bringing attention to these lost Lawrenceburg bourbon brands. Sure, it’s for a profit (it’s a business after all), but they didn’t have to choose this route. Thankfully they did and (spoiler) after this expression folks may start paying attention. Yes, the history of Lawrenceburg’s distilling past is ripe for the curious mind. While other Kentucky locales gather far greater attention, none seem as unharvested and plentiful as Lawrenceburg’s. There’s a book-worth’s there and someone should write it. History aside, I have a job to do. The best part is it involves sipping whiskey. While I thoroughly enjoy the nerdy stuff (really, I do), I’ll have to admit – I like the appreciation part just a tiny bit more. And with that, let’s see what W. B. Saffell has to offer. It’s time for a pour! Overall: I have no idea what pre-prohibition Saffell whiskey tasted like – but – if W. B. Saffell could somehow taste this bourbon today, I’d wager he’d be damn proud. This is fantastic … simply fantastic. While I can’t say for certain what barrels went into this expression, I can say that there’s a strong Camp Nelson vibe at play. But unlike the numerous Camp Nelson rickhouse A and F private selections out there (most of which range 8-9 years), W. B. Saffell has a complex structure with noteworthy maturity. Even at 107 proof, it’s unmistakably better than every 110-proof Camp Nelson Russell’s Reserve private barrel I’ve tasted to date. But of course, we still have the elephant in the room … W. B. Saffell’s price. $50 for a 375ml non-age-stated KSBW is undoubtedly a significant expense; however, the grand majority of 750ml limited edition whiskeys now start at well-over $100. If Saffell were Old Ripy or Bond & Lillard 1, I’d say try before you buy or simply move along. Luckily, Saffell stands above its preceding Whiskey Baron releases in both proof and profile. Its robust layers and considerable depth remind me of Russell’s Reserve 2002 – and – there’s not a single drop of 2002’s oaky bitterness. As far as I’m concerned, W. B. Saffell has earned the title of “2002 Junior.” Just think about it – Russell’s Reserve 2002 retails for $250. You can throw specs at me all day – tell me why on paper Russell’s Reserve 2002 is best, etc. Fine. All I have to say in return is that W. B. Saffell is worthy of similar attention based strictly on profile and personal satisfaction. Yes, it’s that good. Eddie – this should’ve had a Turkey on it. Campari – Eddie deserves a raise. I saw this when I stepped inside the gift shop in January. I took a photo and hoped to find a review before I purchased. Now I have one. I was also leary because of the last two. I hope it is still there when I revisit in a few weeks. Thank you. Anytime Kelly. I think you’ll really love this one. Great review!! I skipped the last Whiskey Barons release mostly based on your review of it. The WT fan in me wanted to try it just for completion’s sake, but I think I made the right decision. I hope to see this one around me soon, and I’ll definitely pick up a bottle or two when it does. Thanks Scott. This one is definitely a cut above. Let me know if you don’t have any luck. Great review! Fascinating history: I hope this turns up in my neck of the woods! I hope so. It’s damn good! Great review. When I see a 375 that sells for around $50, I start questioning if I really want that, or if I’d rather spend the money on a Rare Breed or a Russell’s Reserve and get twice the juice for around the same price. On another note, you mention the various warehouses often. Is there a decoder ring for which warehouses are at which facilities? Are they all designated with a single letter and are certain letters at certain facilities? Or is there a warehouse “A” at each facility? Is there a map anywhere that shows the layout of each facility and warehouse? Keep up the fantastic work – love the site. I’m not sure how McBrayer is categorized, but Tyrone and Camp Nelson are alphabetical starting with A. There is no rickhouse J as it burned in 2000. Oh, and Saffell is so worth it! Thought you might like this tidbit RB. I was sampling Saffell at NO Bourbon Fest and the fella pouring for the WT booth at the tasting said that when Eddie walked in that night it was the first pour he requested. Really good stuff. Just wish it was $35. Not surprised one bit. Eddie’s quite proud of Saffell (as he damn-well should be). Cheers! How big is this release? Widely available like the first two releases? Per Campari, it will be a nationwide release. Thanks for the info. Keep up the great work!